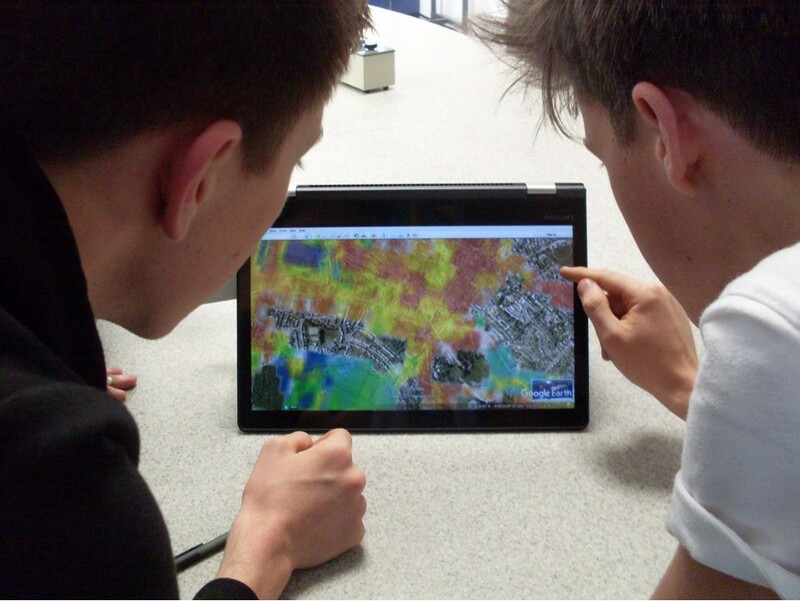 Bodmin College together with Professor Tom Scott from Bristol University recently took part in a ground-breaking project to map the background radiation around Bodmin. Background radiation is the radiation that we are exposed to all of the time and as Professor Scott explained when he talked to students in years 11-13 the background radiation in Cornwall is slightly higher than the national average but in fact the levels are harmless and there has been research that that indicates in areas such as Cornwall the levels of cancer are lower, so the radiation is harmless. Students took it turns with the kit which included a Scintillator (a radiation detector), a GPS sensor, a battery and a raspberry pi control box. Each participant took the kit and walked around Bodmin and gathered the data which was uploaded and sent off to be processed. The final map is shown below.